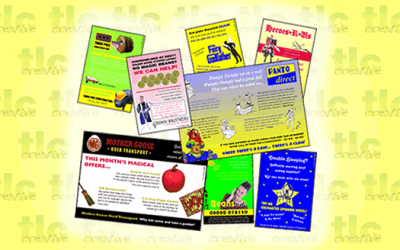 From daft greetings cards to send to fellow performers to with them good luck with auditions and first night, to Pantomime fun sheets to keep the kids entertained we have a selection of creative ideas and solutions. 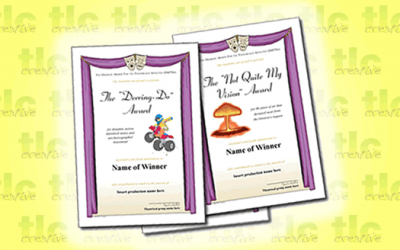 A set of silly award certificates that you can present to your cast and crew: The DAFTA’s (Dramatic Awards for the Theatrically Afflicted). Ideal for after-show parties. A set of 15 certificate designs ready to download with options to customise and create your own. Over the years we have designed and printed a number of silly desktop calendars. 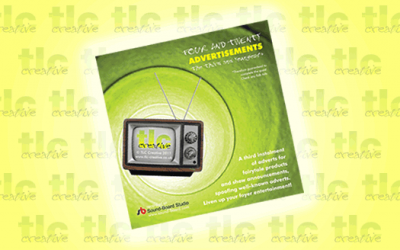 Professionally designed and printed, each calendar comprises 12 monthly pages, a cover page and a backing page and is supplied in CD-sized acrylic holder. 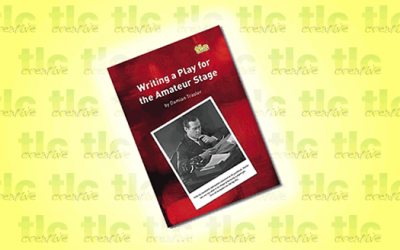 An ideal first night / show gift, prize giveaway, or present for theatre lovers. We can design and supply bespoke designs personalised to your group or company. Just when you thought it was safe to go back into the theatre foyer, we bring you a third compilation of silly adverts for Fairytale and pantomime services and products. This audio CD holds a total of 17 silly ‘radio’ adverts and 7 ‘tongue in cheek’ announcements to your audience! Want to liven up your foyer music? Looking for something just a bit different to play during your interval? 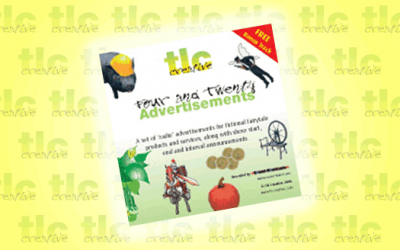 Four and Twenty More Adverts! We bring you a second compilation of spoof adverts for fictional services and products inspired by Fairytale and Pantomime. The perfect way to add a bit of fun to your theatre foyer / show interval. This audio CD holds a total of 19 silly ‘radio’ adverts and 5 ‘tongue in cheek’ announcements to your audience. The perfect accessory for any pantomime production! Five designs available provided as a download. 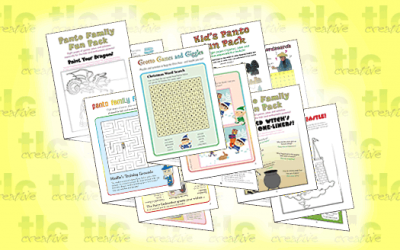 8 pages of pantomime / Christmas themed activities to entertain the children, including word searches, mazes, games, jokes, puzzles and pictures to colour in. A fun pantomime themed card game – battle with your friends to find out who will be the King or Queen of Panto! 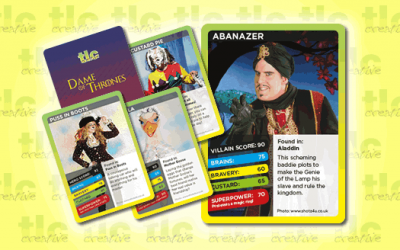 A set of high quality character cards featuring a range of pantomime heroes and villains! 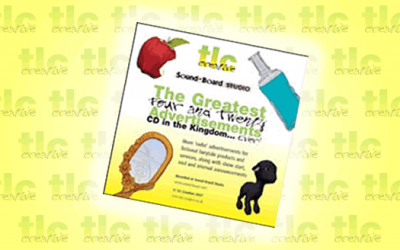 A range of adverts for fairytale products and services to enhance your show programmes. 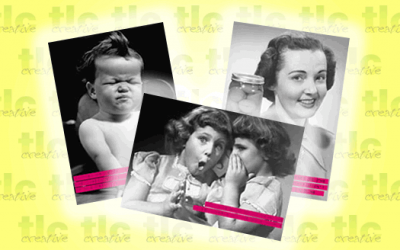 A range of silly greetings cards for thespians. Wish your friends and fellow performers luck at their auditions or opening nights with these daft cards! Available in packs or singles.